As yield-hungry investors continue to jump head first into junk bonds, experts are warning that a potential bubble may be forming. 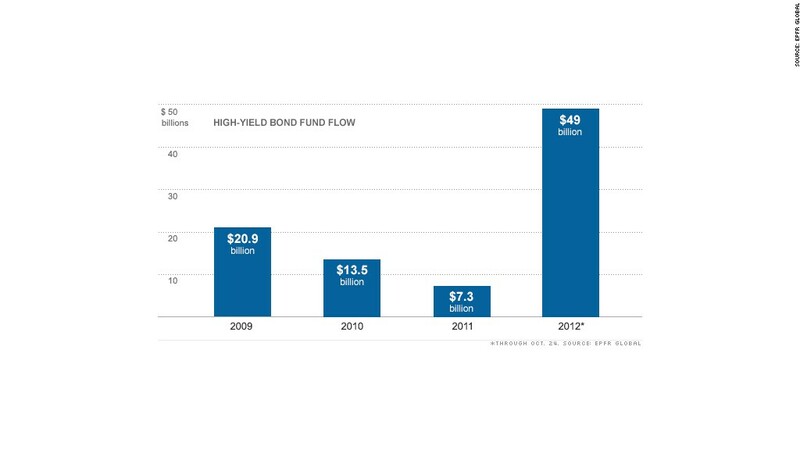 So far this year, investors have plowed a record $49 billion into U.S. high-yield bond mutual funds and exchange-traded funds, more than twice as much as the previous record of $21 billion, set in 2009, according to fund flow tracking firm EPFR Global. "That alone is indicative of an overheating type of market," said George Rusnak, director of fixed income at Wells Fargo, adding that he trimmed his clients' exposure to high-yield corporate bonds last month to neutral from overweight. "In a year, we earned a 20% return on our high-yield corporate bond investments, but we've been starting to see more signs of a bubble-like phenomenon," Rusnak said. And as the Federal Reserve sticks to its low-rate monetary policy, and investors keep reaching for yield, Rusnak expects the high yield market to get even more bloated. Frenzied buying has pushed yields on junk bonds to record lows of about 6%. In 2009, the average yield of bonds included in the Bank of America Merrill Lynch High Yield Master II Index stood at a whopping 19.5%. Experts are also worried that investors are taking on more risk than they intend to, as weaker companies that don't typically have access to the $1.3 trillion high-yield bond market have been able to issue bonds because of the increased demand. "Up until recently, bond issues were of good quality and purpose, though arguably a bit over-priced in certain circumstances," said Tim Gramatovich, chief investment officer at Peritus Asset Management. "This is beginning to change." For example, Gramatovich noted that Alpha Natural Resources (ANR) recently issued bonds with a decent rating and a 10% yield, which would seem like a "tremendous value," but is far from that when considering the tepid outlook for the coal industry. Gramatovich, who also manages the Peritus High Yield ETF (HYLD), notes that companies, such as Petco and Jo-Ann Stores, are issuing more so-called PIK-Toggle notes. The PIK stands for "pay in kind" and allows a company to pay bondholders with more bonds rather than cash. "If the company can't afford to pay me in cash, then why would I want more bonds they can't pay?" asked Gramatovich. 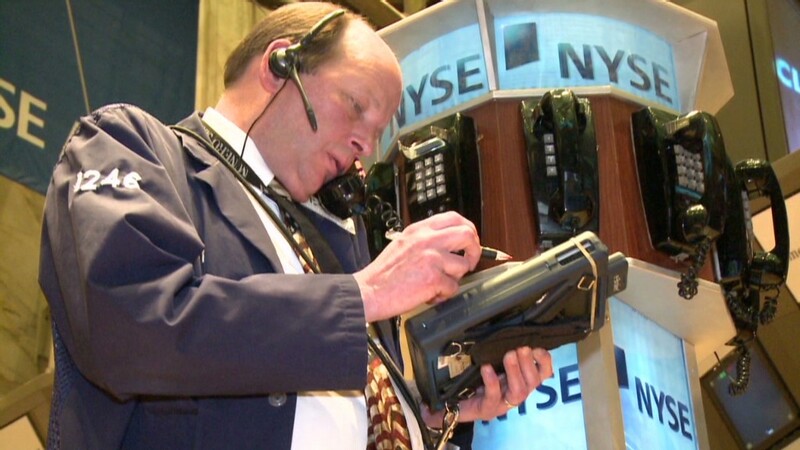 "It is amazing how quickly investors lose their discipline and composure." While the default rate for U.S. high-yield bonds is expected to end 2012 unchanged from the previous year's rate of around 3.5% according to Moody's Investor Services, Gramatovich says investors should be prudent and choose companies that can still pay their bills if the economy turns sour. "We are not drinking any growth Kool-Aid and continue to believe that the world remains mired in a no growth, recessionary mode for the foreseeable future," he said. "It does appear this conservatism is warranted." Gramatovich said that for his fund, which has a robust yield of 9%, he's finding the best values in smaller companies, such as nuclear waste firm EnergySolutions (ES) and propane gas distributor Ferrellgas Partners (FGP). His fund also includes bonds issued by Supervalu (SVU) and Navistar (NAV). "Smaller companies don't necessarily mean more risk," said Gramatovich. "The primary risk in the high-yield bond market is default, so the most important thing is that a company is performing well, and I believe I'm likely to keep getting paid." Meanwhile, Rusnak of Wells Fargo has been finding opportunity in high-yield bonds outside of corporate issues, with floating rate bonds that protect against rising interest rates, as well as high-yield municipal bonds.